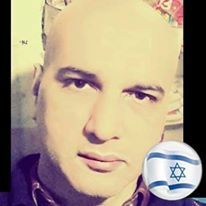 Naveed Anjum is a Pro Israel Muslim, founder of the Face Book pages: Legitimacy of the Zionist State(Page) and two big Groups Legitimacy of the Jewish State (Secret Group) and Israel the Legitimate State (Closed Group). Naveed has been working for intercultural coordination between Muslims and Jewish people for over 7 years. He started this when he went to the Netherlands in 2005 for academic studies. It was there that he met Jewish people. He also met many newly converted Muslims in the Netherlands who were recently converted from Christians to Muslims. Since that time, his views about Jewish have changed. While he was in the Netherlands, he interviewed and asked some of those who had converted to Islam why they had chosen Islam rather than Judaism, Buddhism or Hinduism, etc. Most of them declared their reason for leaving Christianity was that their minds could not accept the “Son of the God” doctrine. According to them, Christians believe in Jesus being the son of God and the Jews call Ezra the son of the God. Since, at that time, he had not researched the Jewish religion, he did not respond. Due to severe problems back home with his family, it was necessary that he leave the Netherlands and return home. After he returned, he began research on Judaism. He learned there is no concept of the Son of God in Judaism. Jewish people are perfect monotheists, even more so than Muslims. This was the first point disclosed to him regarding Jewish beliefs. He researched further and discovered that everything told by his Media about rabbis and scholars of the Jewish religion is very wrong. During his research, he discovered that the Quran declares the land of Israel belongs to the Jewish people. In addition, as he researched the Jewish tribes in Medina, even more was revealed to him. He wanted to make his research fruitful, so he started to reach out to people here. He shared the facts he had learned and holy scriptures he had found about Jewish people and Judaism. Then, he wanted to write a book; so he contacted many publishers in America and Britain about publishing his book. However, he did not have the financial resources to pay for their publishing services. So, in 2009, he chose an area within my country that contains a poor and primitive city, and began educating the people through handbills and pamphlets. The local authorities (of a Town Union Council) warned him to not preach about the legitimacy of the Jewish state, otherwise they would take legal action against him! He still have that initial and incomplete medical report with me, that is the transparent proof of the threats made by the Medical Legal Officer. Because of the severe beatings he received, he ran away from that government “hospital” that treated him. Later, in April 2010, he was appointed as a school teacher in a well-known school chain. In the free classes, he began teaching students about the legitimacy of the Jewish state . When the school’s management found out what he was doing, they terminated him, immediately, without giving him any notice. (he still has the termination letter). Besides that termination, other organizations terminated him when they found out about his views of Jewish people. He was no longer allowed to work, there, because organizations’ management have heard about his views regarding Jews and Israel. After the above persecution, a number of people created a Facebook page to mock him, harass him, and make fun of him. That was in 2013. There were many threats made against him on that web page and in the section, “Posted by others,” that was published on November 12th, 2013. Their messages were in the local language (of the country where he belonged). His pictures had been shared in different Facebook Groups declaring him an apostate, a spy for Israel, and calling for my death. He’s been exposed so much through such false propaganda that he could no longer go outside or be seen by the general public in his city. He feared for his life all the time. Naveeed created the Facebook page, Legitimacy of the Zionist State, and got a tremendous response from Israeli and American people. He has received over 30,000 friends and followers on his profile, pages and groups within a short span of time. On his pages and Groups, he explained the legitimacy of the Jewish state from every aspect, be it Islamic, historical or archeological. He tried to convince Muslims and other anti-Semitic elements to recognize the real truth and facts. The most dangerous threat to and for him was that of his country’s Government, where he lived. They would learn of his favoring Israel through his increased popularity as well as through his Facebook pages and groups. Favoring Israel is considered a crime worthy of a death-sentence there. This country is one of the most anti-non-Muslim countries in the world! So, you can understand how serious his situation was, living in that country from one day to the next. He was hoping that, soon, he would be able to leave that country and move to a nation where he would not have to live under the constant threats and fear of being killed because of his work regarding the legitimacy of the Jewish state, Israel. Because of the circumstances created by sharing his video on YouTube, he received Death Threats and experienced MANY threats to his security, even very recently. He also received murder threats sent to him in e-mails. The worst abuses and harassment on his Facebook page have come increasingly from extremist types of people! Written threats were also sent to his home address through postal mails and by couriers. His neighbors also became his envy. At times, he was not able to sleep in his own home and have had to flee to various friends’ and relatives’ homes for the safety of his life! Naveed Anjum wanted to do more for the Zionist cause. However, he could not work from the Muslims country in which he lived. It was just too dangerous for him, his family and his own personal safety. His life was in peril and living there had become extremely dangerous for him. Even if he should have left this cause, the people where he lived would have identified him! His pictures had been shared in different radical Facebook groups calling for his death. He had been identified and reported by a number of people with much false information about him being an enemy of Islam and marking him for death. These reports were false. Nonetheless, he wanted to continue working for this cause. Thus, he needed his friend and followers from US, Canada, Australia, Europe and Israel and they donated him to get abroad. First of all Naveed escaped to Cambodia since this country was on arrival on Naveed’s passport. He tried to get asylum in Cambodia. However he did not feel safer because of some spies following his in Phnom Penh, he instantly moved to Laos. However while he was in Cambodia, he continued his workings physically and met Rabbi Butman (Chabad House, Phnom Penh) to discuss his workings and his personal situations. He also visited Buddhist temples and met priests to bring peace and mutual co ordination among the different religions. When he moved to Laos, he met some Muslims there and tried to convince them for working with him for the legitimacy of Israel. However, instead of helping him, they became his opponents and harassed him. Naveed wanted to seek asylum there but Laos does not offer asylum. He found Laos a very safe country to continue his workings. However due to visa restrictions, he could not stay there longer and had to move anywhere else before the expiration of his visa. He did not have sufficient funds to get Laos residence permit. So helplessly he moved to Thailand. When he moved to Thailand, he again faced the problems of radical Muslims who came to know about his views about Israel. However he was confident that Government was not against his cause. He continued to work on the Zionist cause through his Pages, Groups and website. Since he wanted to run the cause from Laos, he asked for financial help from his supporters all over the World and they supported him with the required money. However Laos has strict visa restrictions for the country Naveed belongs to, he could not get residence permit of Laos. However in the same money,he could get the education visa status of Thailand through paying fees in college there. He got the education status in Thailand as a Thai language learner and on the other hand he got the legal status to reside there as a student. He is successfully running this cause to educating Muslims regarding the Jewish state and historical facts and to combat anti Semitic found in the Islamic countries and elsewhere. He has been tirelessly working on for seven years and has goals. He wants to create a non-profit charity organization that will send out lecturers to educate everyone about the Legitimacy of Israel. In addition, he wants to do charity work such as helping others who also are in situations, like him, where their lives are in danger because of their beliefs. He wants to be able to help them to escape and start a new life in safety. You are requested to pray for his cause. Naveed Anjum you are an extraordinary person. I read your blog with your journey without stopping. Why not to try in Israel? I hope you will be safe and may God bless you. Alas he worked hard but could not get support and residency from a developed country (which he longed for). I just wish everyone will live in harmony and peace. Yes Israel is a holy land for Jews, Christians and Muslims. But Mecca and Madina are our most sacred places The land of Palestine is secondary. let them live in their land. let the jews worship in their Solomon temple and let the christians worship in that land. Thanks for doing this job raising your voice for great cause.